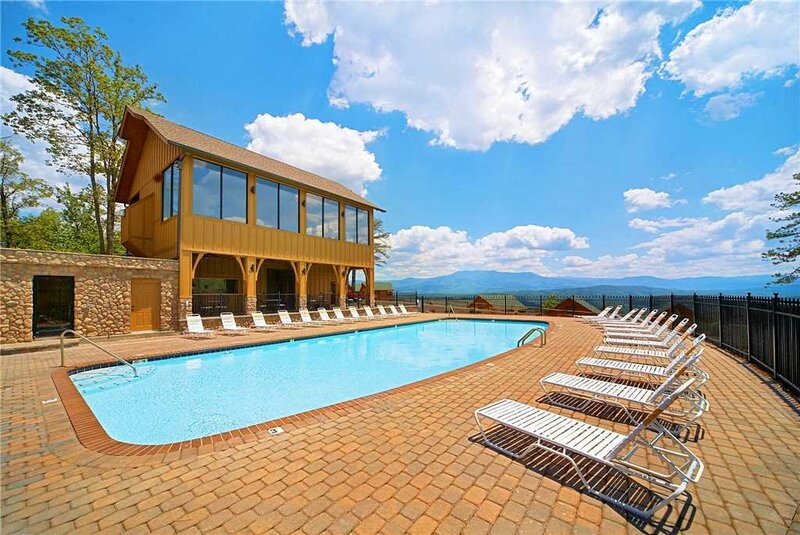 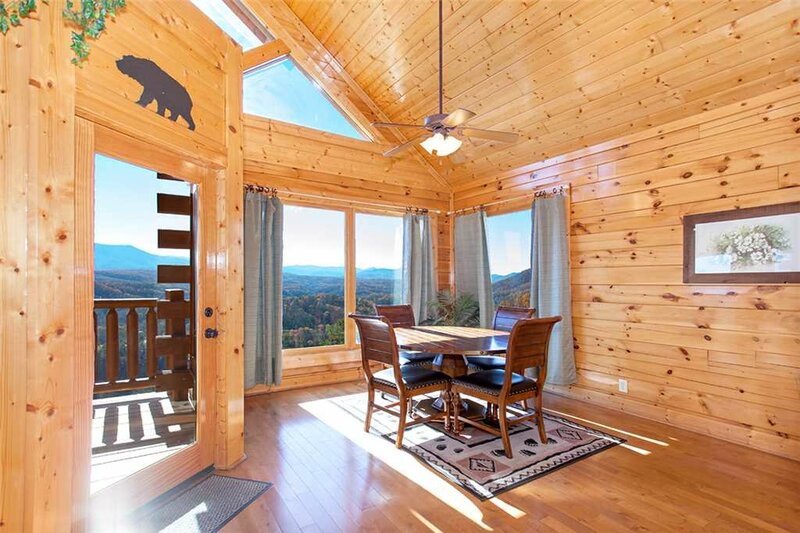 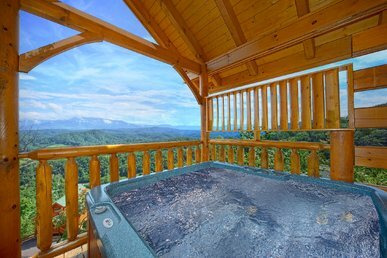 You will be Spellbound with the view this luxury cabin has of Mount LeConte and the expansive Great Smoky Mountains National Park! 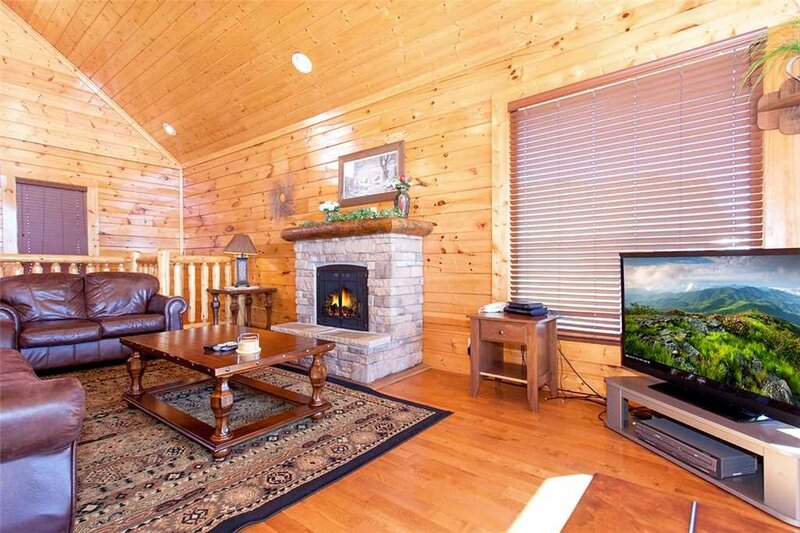 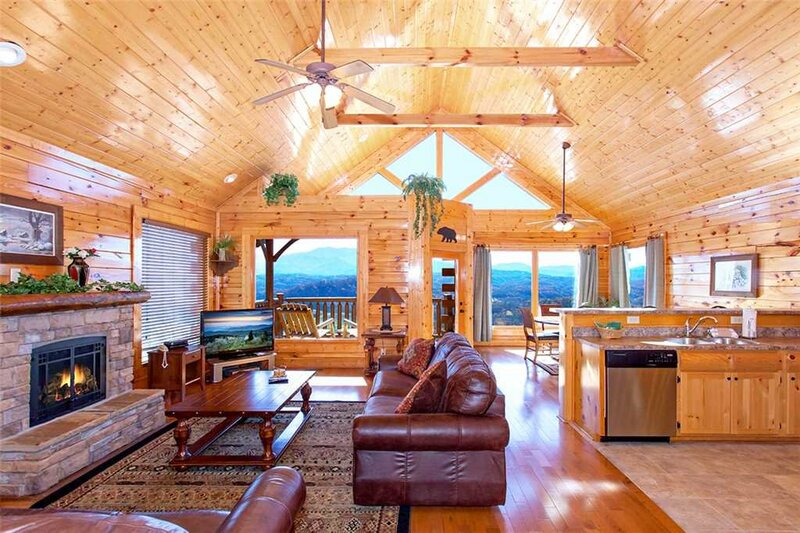 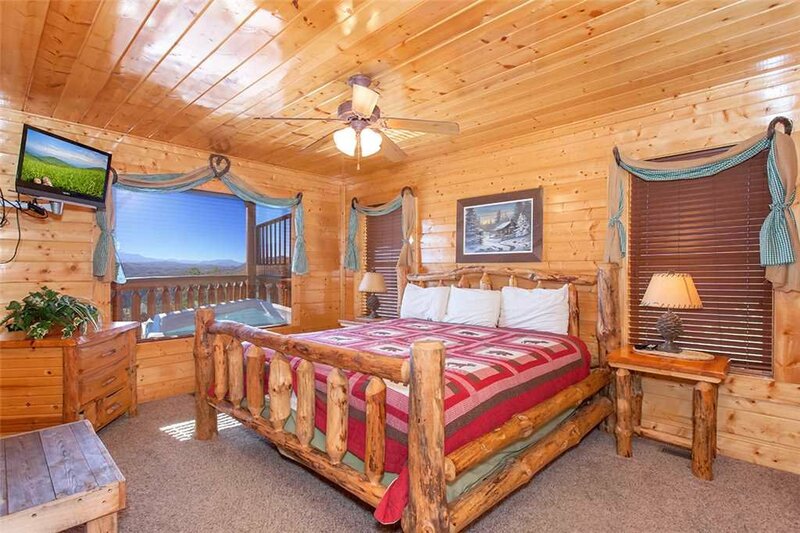 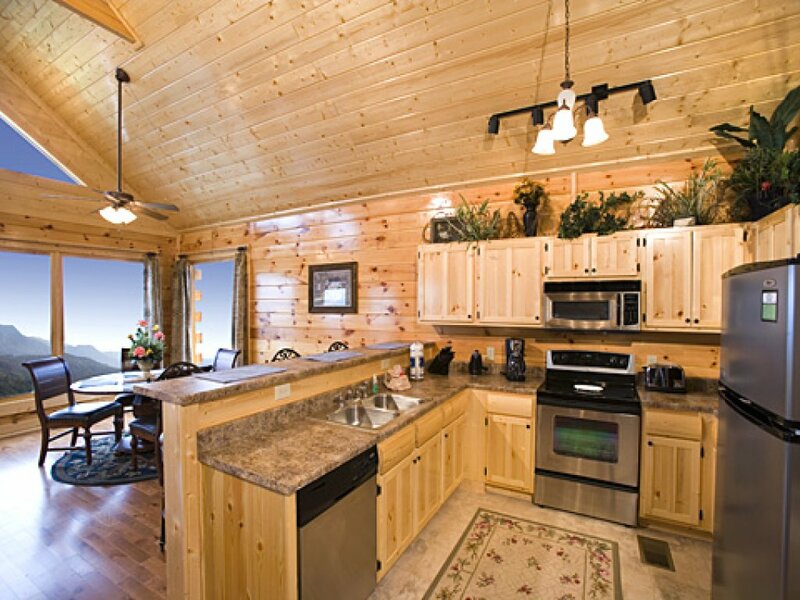 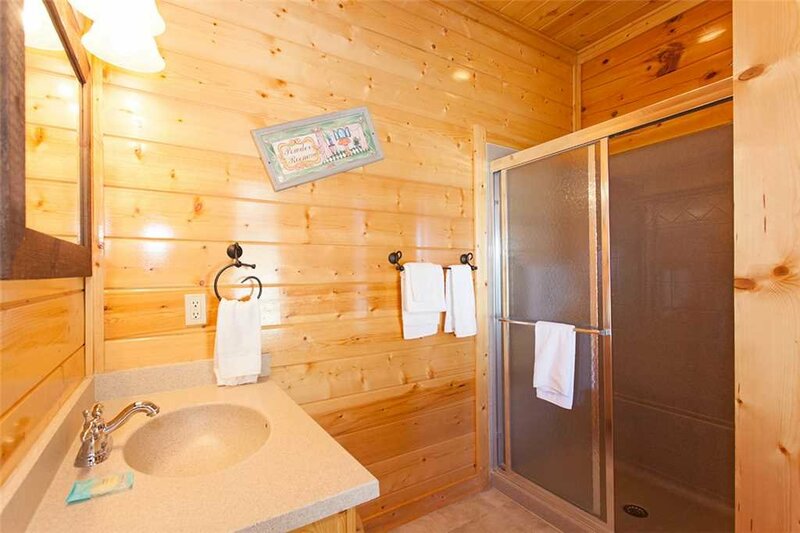 This beautiful cabin is richly decorated throughout and features leather furniture, flat screen television with cable and fireplace in the living area. 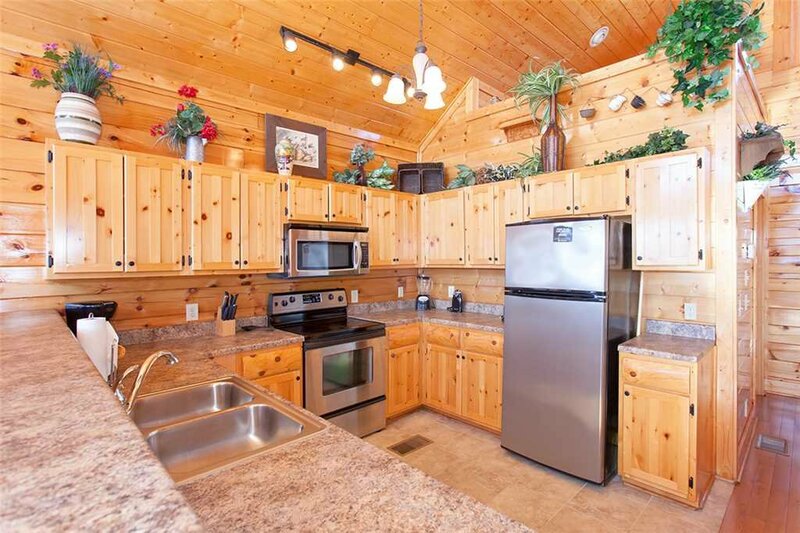 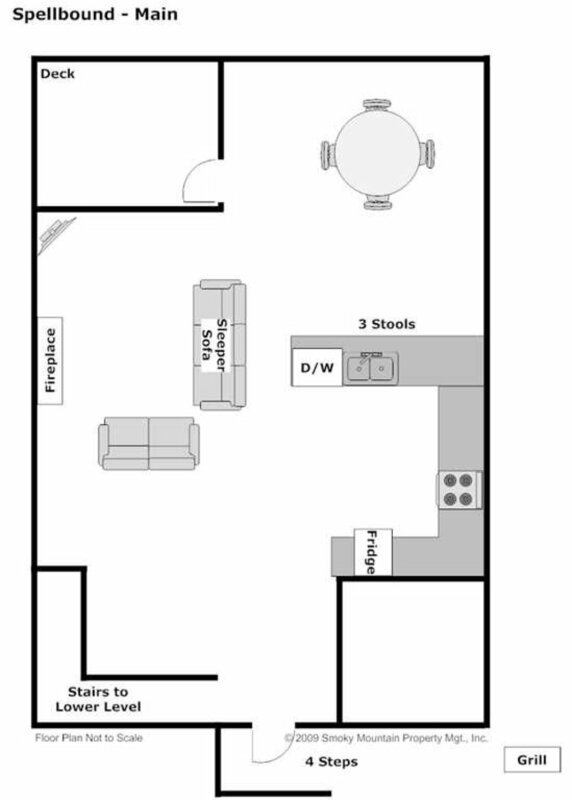 Prepare memorable meals with the fully-equipped kitchen adorned with stainless steel appliances. 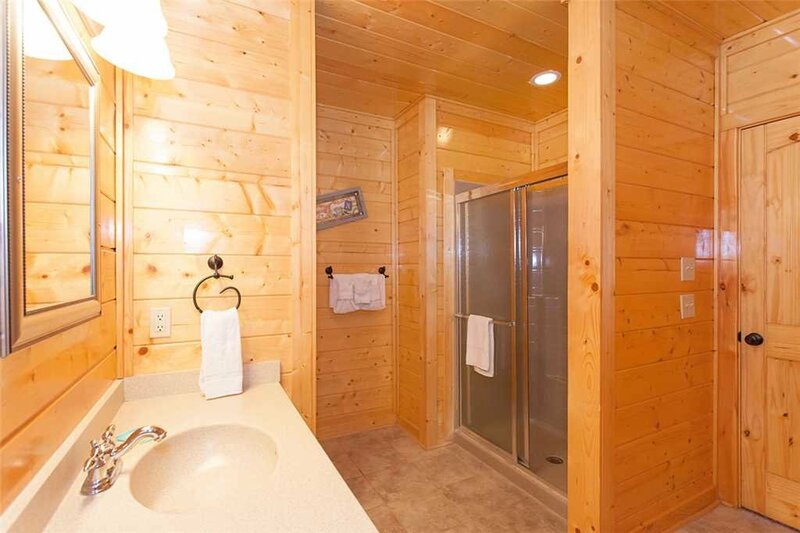 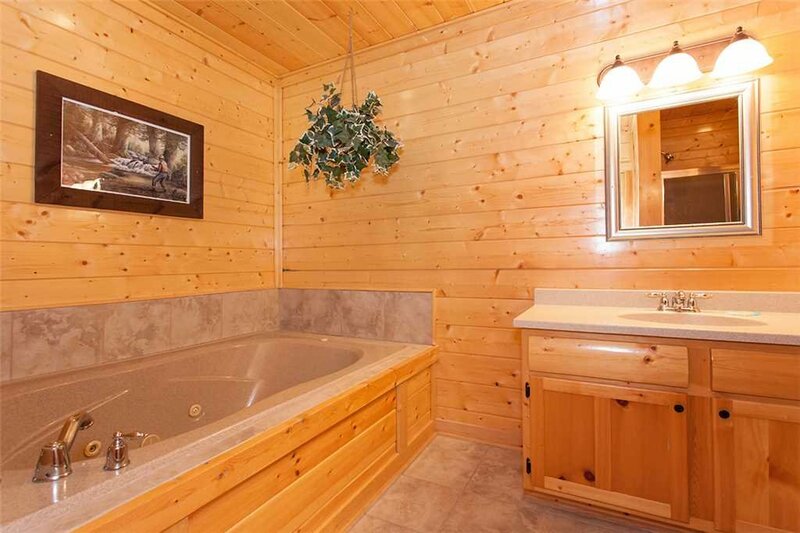 The master suite has an immense log king-sized bed, a cozy quilt to cuddle up under and an attached bath featuring a jetted tub. 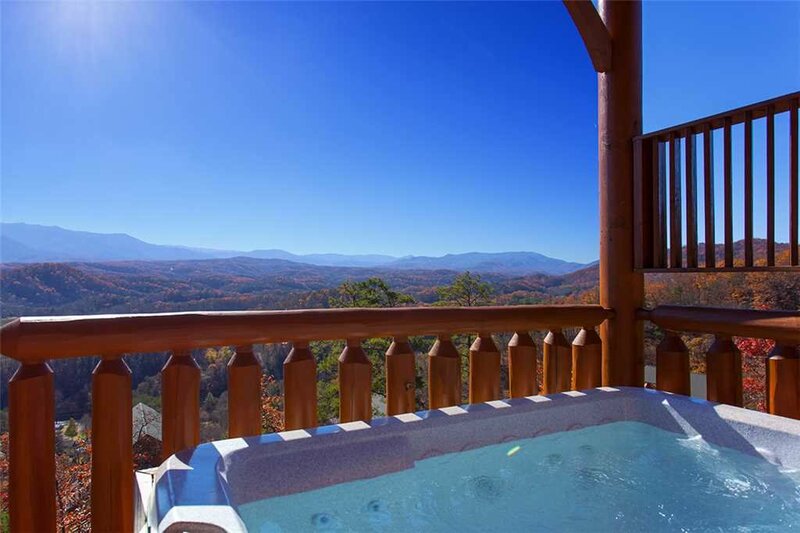 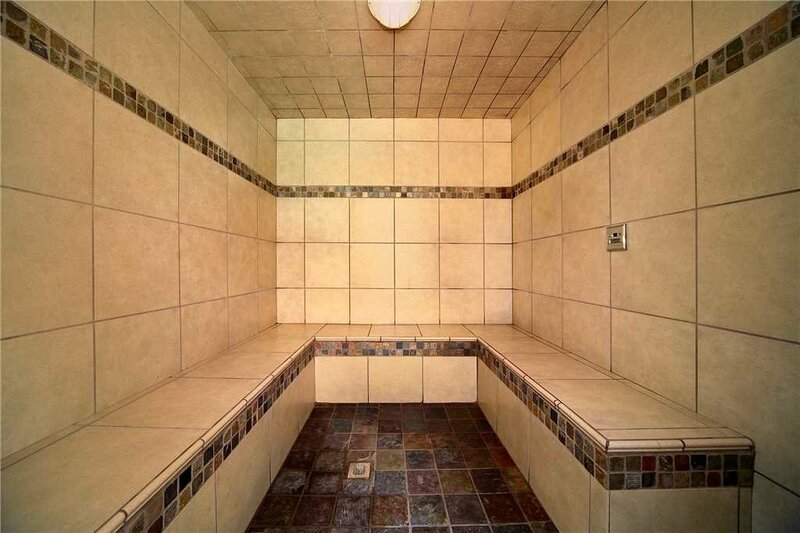 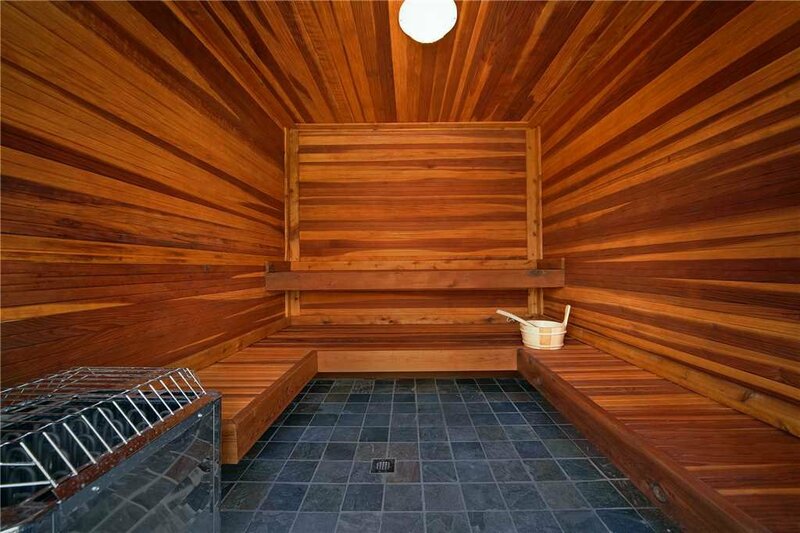 Come soak in the hot tub and let the amazing vistas help to sooth your mind and body. 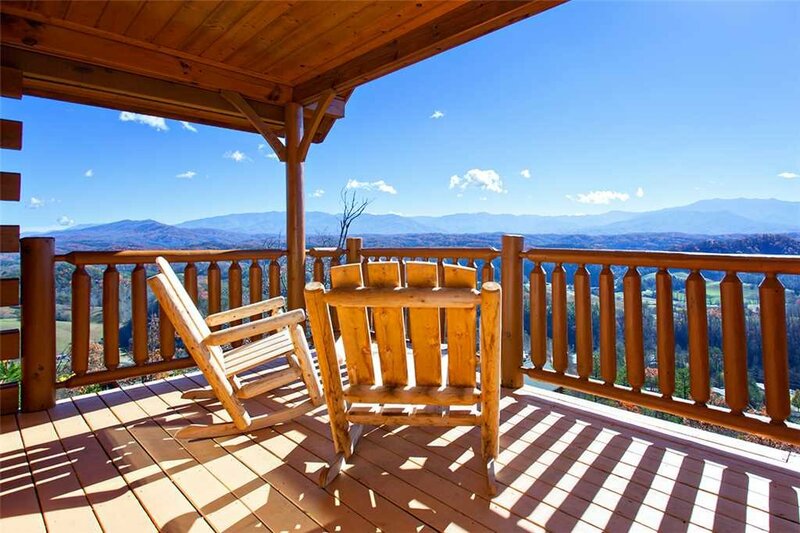 Morning coffee will never be the same after being able to enjoy a cup while rocking easily in the crisp mountain air. 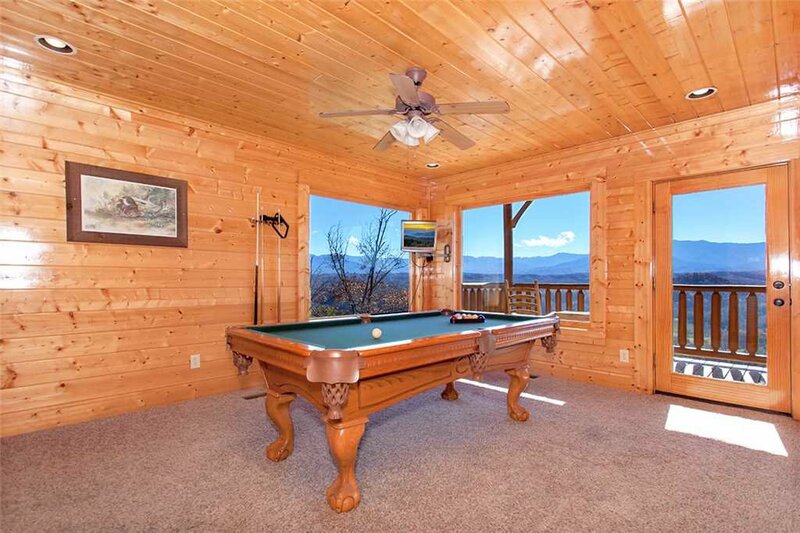 Unwind with a game of pool and try not to let the panoramic view from the large picture windows disrupt your game. 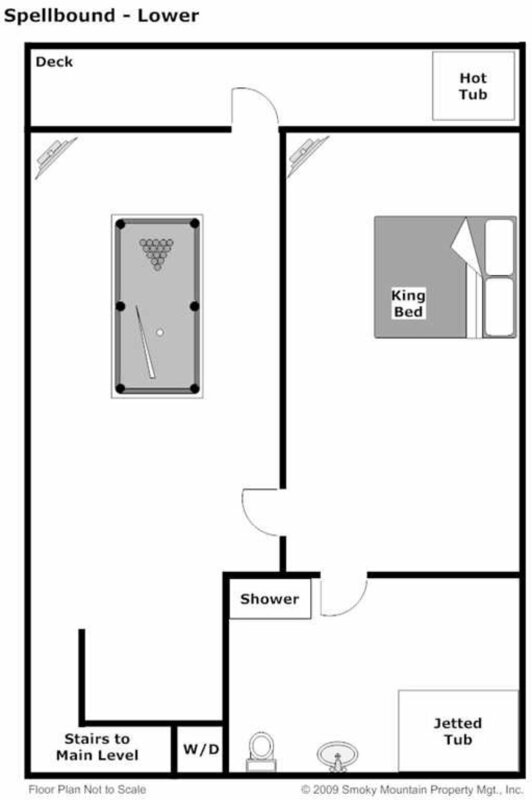 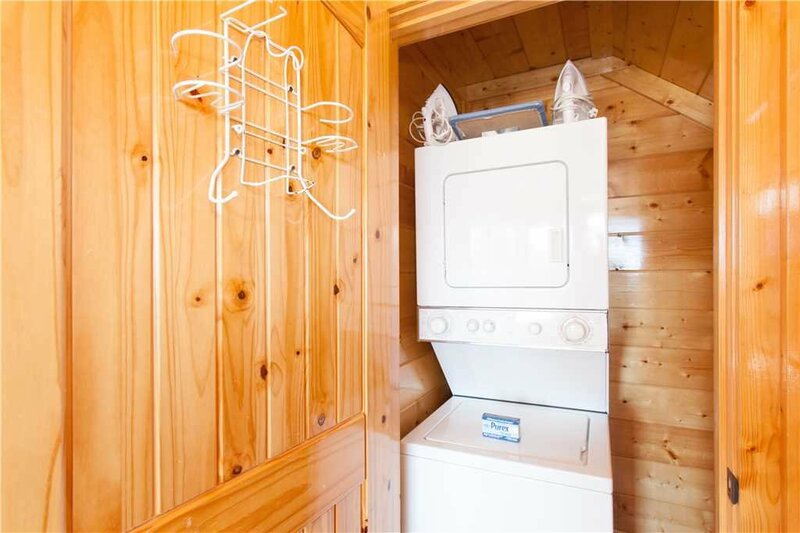 Other amenities included with your stay at Spellbound are broadband internet and this unit is dog friendly. 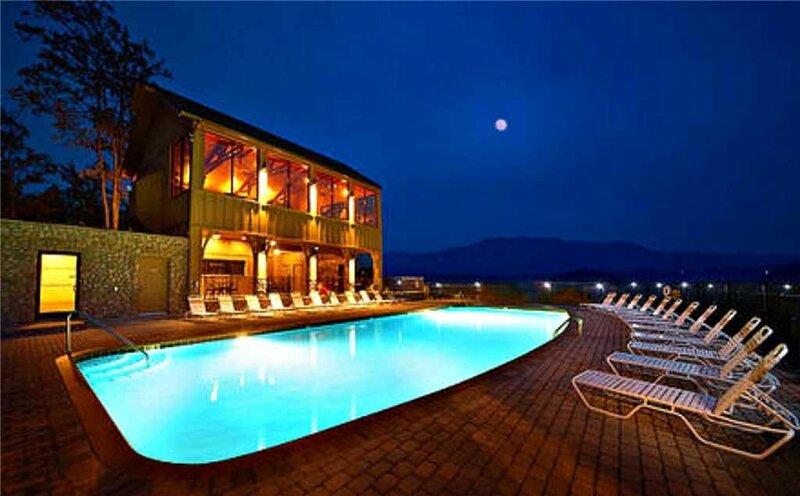 Book your vacation in Spellbound today. 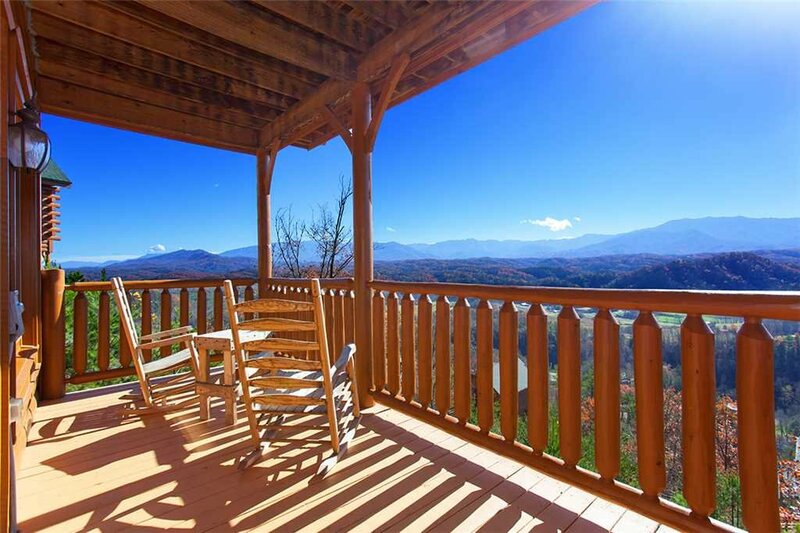 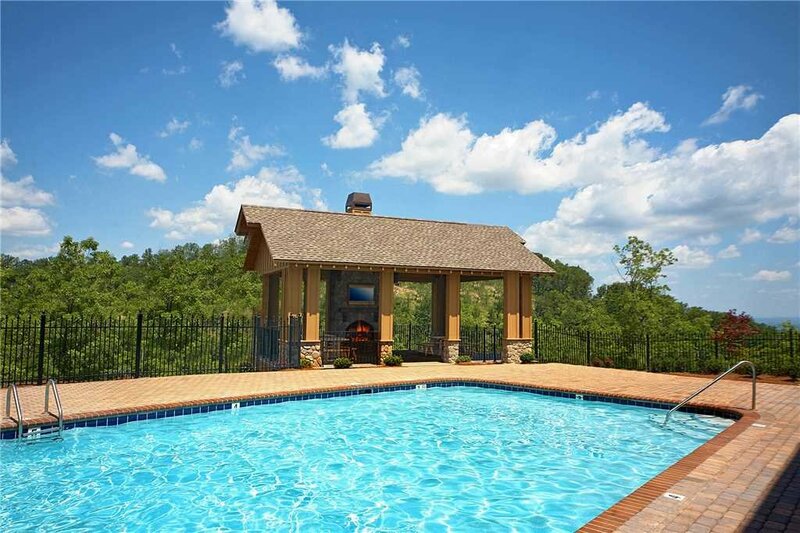 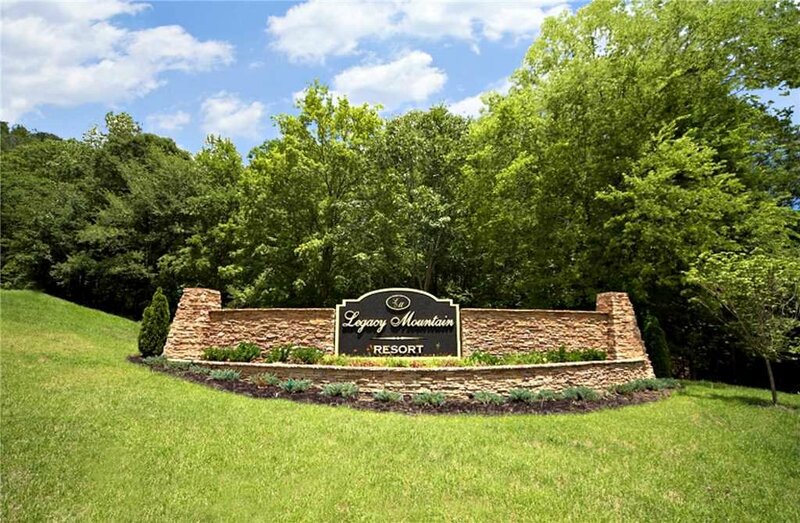 Spellbound is nestled in Legacy Mountain Resort, making access to Dollywood, Pigeon Forge and Gatlinburg easy yet allows you to feel away from it all. 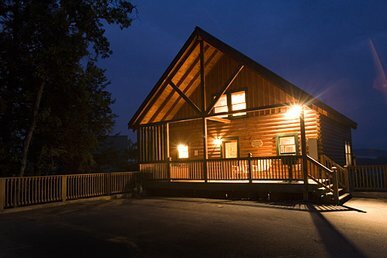 The check-in office is conveniently located on Upper Middle Creek Road, making check-in a breeze, stop in before you become Spellbound. 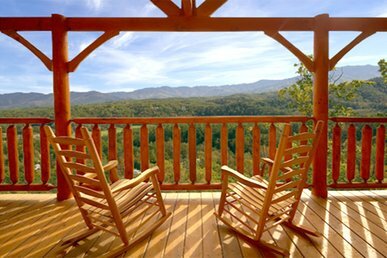 The towns of Pigeon Forge and Sevierville offer days of endless entertainment. 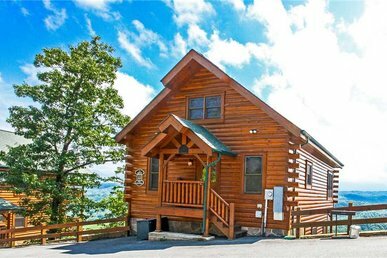 No visit to the Smokies is complete without at least one pancake breakfast, some of the best are at Flapjack’s Pancake Cabin. 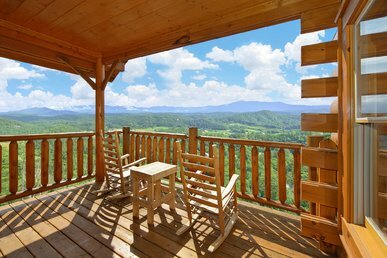 Stop at Legacy Mountain Ziplines for a three hour zip through the tree canopies, you’ll be over 400 feet above at times for an amazing vantage point of the Smoky Mountains. 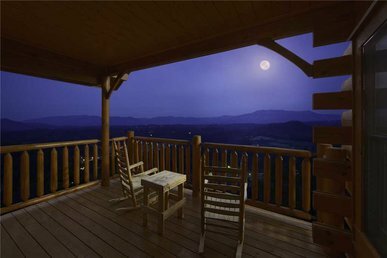 A certain good time is at Dollywood, one of the world’s best theme parks, spend the day and stay for the nightly fireworks show. 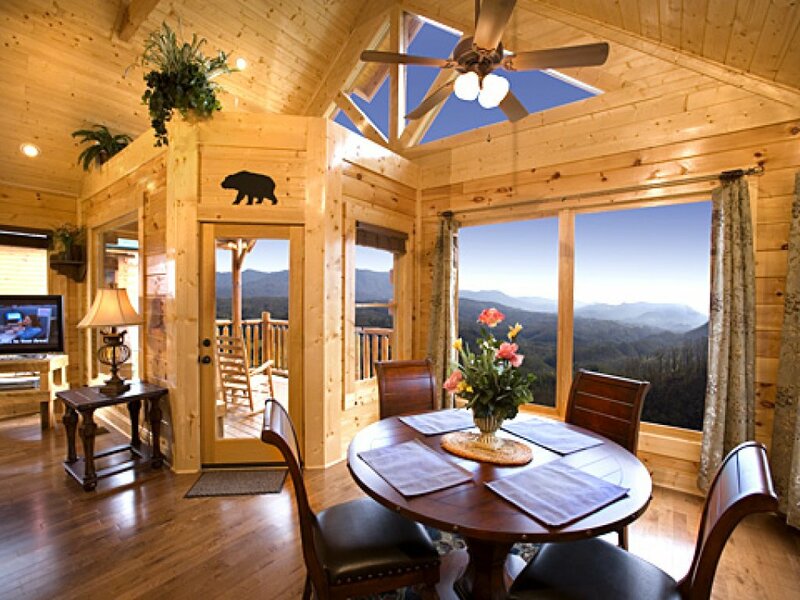 The shopping and dining is outstanding at The Island at Pigeon Forge, grab a bite to eat at Timberwood Grill then head off for an amazing adventure at Island Mirror Maze with a mirror maze with kaleidoscope glasses and a laser maze; try not to sound the alarm! 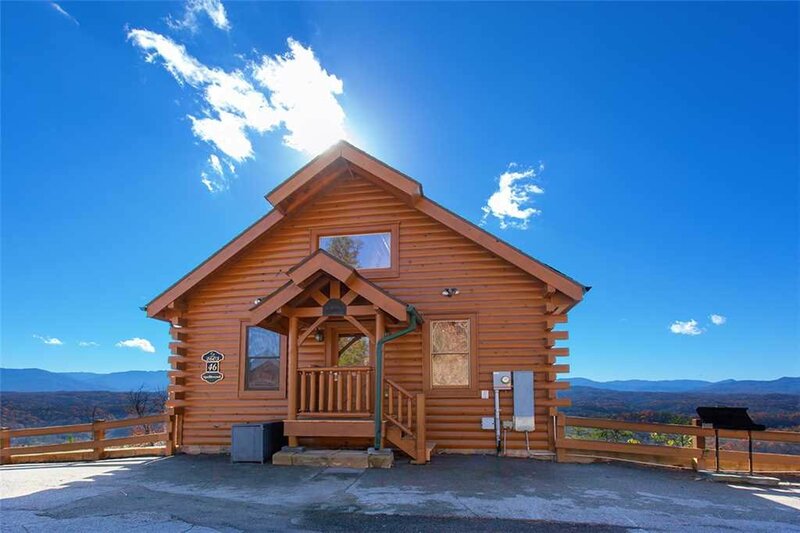 Take the Parkway to downtown Gatlinburg for a variety of fun attractions. 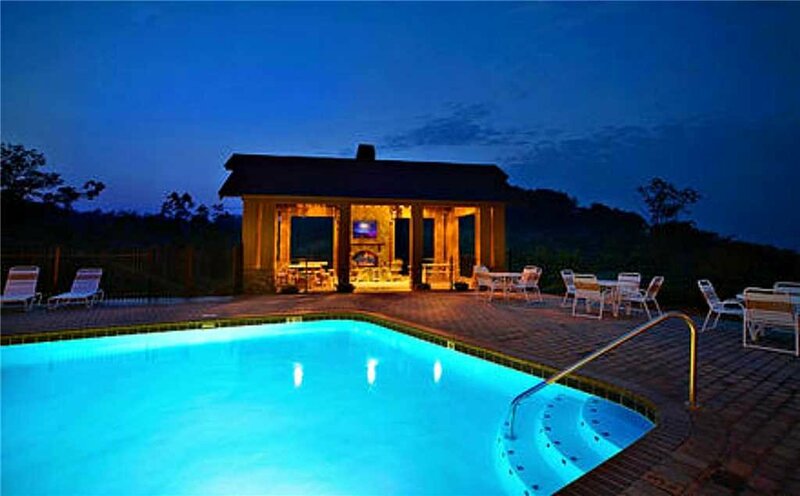 Play a game of mini-golf either inside or out, mine for gems or catch a flick at the 3D theatre, all at Fort Fun. 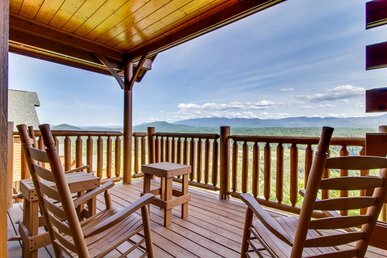 Go to the top of the Space Needle for a remarkable 360 degree view of the Smoky Mountains from the observation deck and then catch one of the unique shows the Iris Theater at the base of the Space Needle. 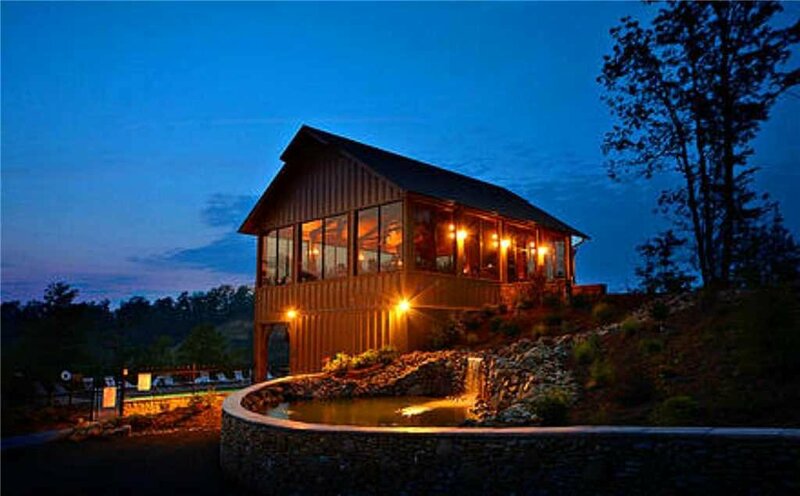 Wander over to Ole Smokey’s Distillery for a tasting of authentic moonshine being distilled right on the Parkway. 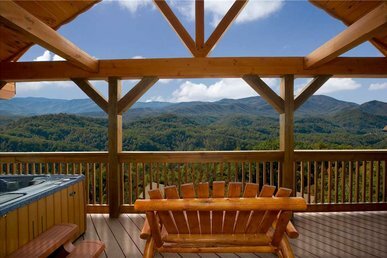 While staying at Spellbound you are on the doorstep to the Smokies where excursions are endless. 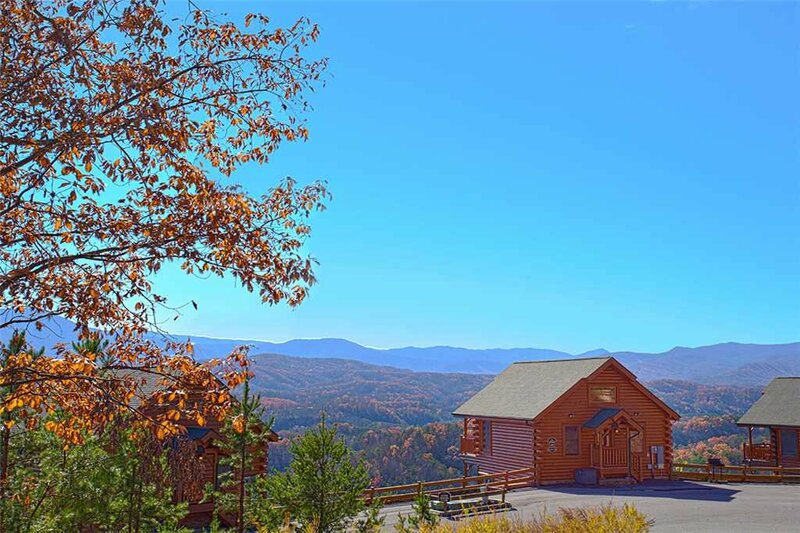 Take the Roaring Fork Motor Nature Trail, a 5.5-mile one-way road with a collection of historical buildings, waterfalls and old-growth forest. 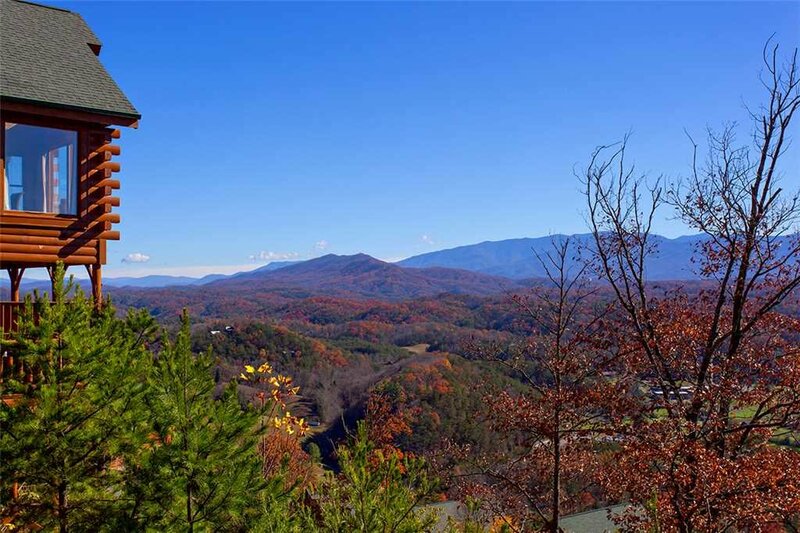 Begin a hike along the Grotto Falls trail about a 3-mile round trip and worth every minute when you walk behind the falls. 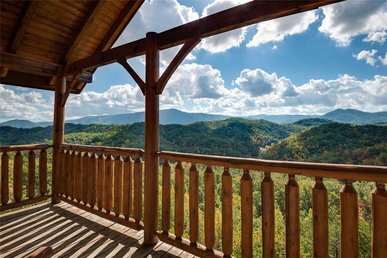 Explore the mountain foothills on horseback with Five Oaks Riding Stables; catch an early morning ride to see a variety of wildlife.